In many countries around the world, lunch hour is serious business. Some Latin American and European countries literally shut down for a couple hours so people can eat, take a nap, or just relax. Other countries don’t go to such extremes, but most do reserve a time for employees to have a break and eat lunch. Case in point, try calling any immigration, credit card companies, or any government-run office during lunch time in Korea. You won’t get an answer. They’re all out to lunch. 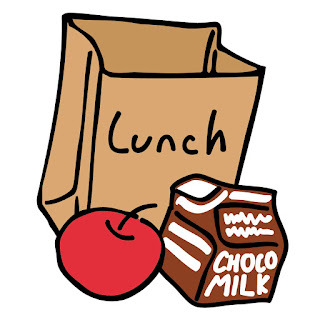 Schools have a lunch break as well when the secretaries and DOS go out to lunch. Teachers, on the other hand, usually aren’t so lucky. When talking with other university teachers I found out that the majority aren’t given a lunch break at all. Yes, I realise that they don’t teach all day. However, many do teach from 9am-3pm with no more than 15 minutes between classes. Why is it that the students get a break, the management gets a break, secretaries get a break, but teachers don’t? This may cause teachers to feel undervalued and overworked. It may also cause them to finish classes early and start others late so that they can actually sit down and have lunch rather than scarfing down a sandwich on the way to class. This needs to change. It’s one of the many crummy ways schools try to cut costs like not heating classrooms or not turning on lights in hallways. Schools need to invest more in teachers. Happy teachers means happy students which means happy admin and management. Working teachers to the bone so that they become burnt out and have to be replaced with teachers willing to work more hours for less isn’t the answer. If management feels that teachers don’t deserve a break, then they should try going without and working from 9am-3pm with no more than 15 minutes to eat. They couldn’t and wouldn’t and neither should we.